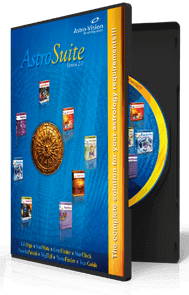 Astro-Vision is a pioneer in Astrology software development and its various Kundali software are used by over 10,000 satisfied customers. Our users include astrology centres, astrology students, business centres, internet cafes, STD /PCO booths, xerox centres, marriage bureaus, astrology classes, and astrologers around the world. Now Prepare Bengali Kundali Matching reports too! 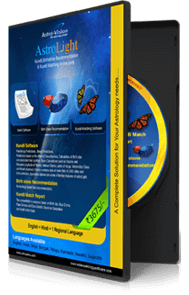 AstroLight 1.0 also contains a Kundali Matching Software in Bengali. You can also select the regional preferences based on which the matching is performed. The minimum check performed is the Gun Milan check. Other optional checks include Manglik check, among others. 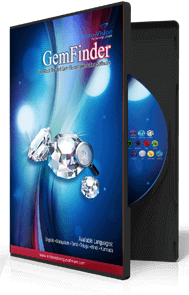 These optional checks can be enabled or disabled according to your customer’s preference. .
AstroLight 1.0 Bengali Astrology software also provides a gemstone recommendation. .
AstroLight 1.0 Bengali Horoscope software offers accurate horoscope calculations. Our Bengali Horoscope software is based on the Indian system of predictive astrology. .
Astro-Vision's Bengali Kundali Software has all the sets of calculation required for astrological analysis. It also contains the basic predictions such as Bhava predictions for specific houses, panchang predictions, etc. 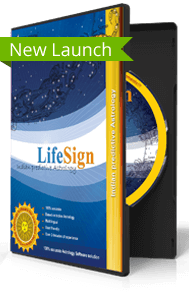 If you are looking for a Kundali Software which includes detailed predictions, then check out Astro-Vision LifeSign Astrology Software with predictions. .
Astrolight 1.0 Bengali Astrology Software includes Panchang predictions based on the weekday, predictions based on the birth star, predictions based on the tithi, i.e lunar day, predictions based on the Karana and predictions based on the NithyaYoga. AstroLight 1.0 Bengali Astrology Software gives detailed predictions based on the effect of the Dasa and Antardasa, starting from the current dasa onwards. Predictions for antardasa (bhukti) are also given for twenty five years. The time frame of each antardasa is mentioned. (The first five years of life is skipped). While analysing the effect of the Dasa and Antardasa, the strength of planets is judged by their positions in Saptavarga. 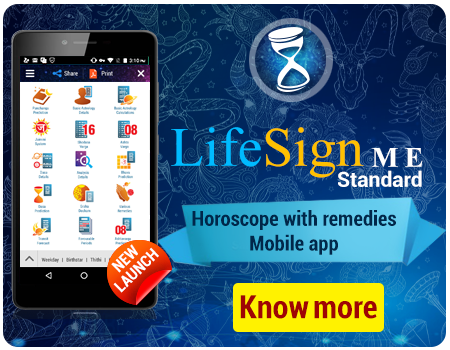 AstroLight 1.0 Kundali Matching Software performs horoscope matching of two individuals based on a number of factors. The minimum check done for matching is star compatibility. Star Check or Nakshatra Compatibility check is used for calculating the compatibility between birth stars. There are various options for calculating the compatibility. Although the basic principles of judging compatibility are the same, there are variations in the standards applied in different places. Different methods are provided to suit regional practices. Tamil Nadu - suitable for Tamilians and those following the Tamil calendar. AstroLight 1.0 Bengali Horoscope Matching Software has the provision for performing a Manglik Check. Manglik Dosha is determined based on position of Kuja in a horoscope and in certain positions it is considered to adversely affect the longevity of the married partner. This dosha is believed to be reduced and sometimes even eliminated by the presence of similar dosha in the horoscope of the partners. AstroLight 1.0 Bengali Kundali Matching Software also checks for dasa sandhi as an optional feature. AstroLight 1.0 Bengali Kundali Matching Software also checks for papa matching between the horoscopes. The total Papa (Dosha) in a horoscope is calculated by assigning papa points for different planetary positions in the horoscope. All charts, calculations and analysis provided in this AstroLight Bengali Astrology software are based on Vedic Astrology. The nirayana longitude of the planets, the rasi, the longitude in the rasi, the star as well as star pada is calculated. The star, star lord, sub lord as well as sub-sub lord is calculated for each planet. The dasa as well as dasa balance at birth is also provided along with the rasi chart and navamsa chart. AstroLight 1.0 Bengali Horoscope Software also provides the bhava chart as well as the bhava table. Various charts are prepared by the Bengali Janampatri software after making the necessary calculations such as the Kundli chart, Hora chart, Upagraha Chart , Drekkana chart, Chathurthamsa chart, Saptamsa chart, Navamsa chart, Dasamsa chart, Dwadasamsa chart, Shodasamsa chart, Vimsamsa chart, Chathurvimsamsa chart, Bhamsa chart, Trimsamsa chart, Khavedamsa chart, Akshavedamsa chart, Shashtiamsa chart, Ashtakavarga Charts and Tables. A brief summary of Vimshottari Dasa Periods is given in this Bengali Horoscope Software. Details of the Dasa and Bhukti (Antardasa) Periods are given. AstroLight Bengali Astrology Software has a large in-built database of cities from around the world. So, you don’t need to enter latitude, longitude and time zones of major cities. Additional cities can also be added, making the list of cities fully customizable. It makes the task of preparing a Kundali easier. Various ayanamsa settings are included, such as Krishnamurthy ayanamsa , Chitra Paksha ayanamsa or Lahiri ayanamsa, Raman ayanamsa and Zero ayanamsa. এখন বাংলায় কোষ্ঠী মেলানোর রিপোর্টও তৈরি করুন!